Loan Market Group has challenged the industry to make International Women’s Day a turning point for the broker profession, while announcing its third annual Leading Ladies of Loan Market growth summit. Loan Market Executive Chairman Sam White said the date was an opportunity for the sector to make the profession more viable for women, and recognise their extraordinary contribution. MFAA research showed females were less optimistic about careers in the industry than male counterparts and the portion of female brokers dropped from 28.3% to 27.1% across Australia in the 18 months to March, last year. Additionally, only 39% of women believed there were no barriers to success in the sector, compared to 72% for men. “Today, no industry should be dominated by one gender,” said Mr White, “but we continue to see disparities across many occupations, including broking. Mr White said women were well-represented in Loan Market’s executive ranks with females making up 45 per cent of the Australian leadership team. Lisa Phillips (Chief Marketing Officer), Andrea McNaughton (Executive Director), Kristy Bartlett (National Head of Learning and Development), Nicole Glen (Chief Financial Officer) and Nicole Ferguson (General Manager Victoria) are important members of the leadership team. Mr White said: “The representation of women in executive roles at Loan Market grew organically: the best talent in several of our leadership roles just happened to be these incredible women. And for me, it’s heartening that these ladies recognised Loan Market’s inclusive culture”. Three of the executives, Ms Phillips, Ms McNaughton and Ms Bartlett came from senior leadership roles within the Ray White Group. 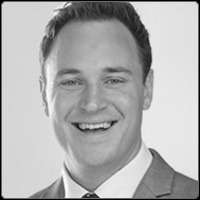 According to Mr White their experience in the property sector has proved invaluable to further developing the strategic partnership and referral connection between the two family owned businesses. And at the network level, many of its female brokers are setting new industry standards as shown by the recent rounds of Better Business Awards. Loan Market Geelong’s Sarah Thomson was named Regional Finance Broker of the Year at the Victorian ceremony, while Terri Johnson of Loan Market Rockhampton took home the Queensland equivalent. Loan Market Executive Director Andrea McNaughton is the latest woman appointed to a senior role in the Group. “I feel privileged to have joined a leadership team which has outstanding women making pivotal contributions for its network and the industry,” said Ms McNaughton. The Leading Ladies of Loan Market annual program includes quarterly events including retreats, wine and cheese nights where the Leading Ladies bring their clients or referral partners to network and an annual conference, which last year saw 100 attendees. 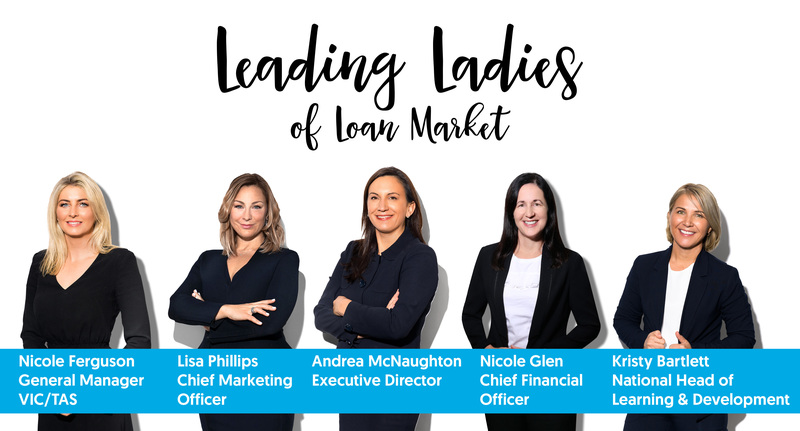 Today, on International Women’s Day, Leading Ladies of Loan Market announce their 2019 growth summit to be held in Byron Bay on May 27 - 28. Alison Hill, CEO of AFR Fast 100 company Pragmatic Thinking, has been confirmed for the keynote address at the summit. She wears multiple hats: psychologist, award-winning businesswoman, best-selling author, in-demand speaker, producer and host of the Stand Out Life podcast and popular media talent. In her own, engaging style, she’ll be discussing what leadership means in the workplace as a woman who has scaled the corporate ladder. Mr White is proud to support the Leading Ladies of Loan Market as an initiative that recognises, celebrates and develops a culture of awesome customer outcomes. “It is clear to me that the Leading Ladies of Loan Market is made up of a collection of committed business professionals who regularly go above and beyond for their customers,” he said. “Within the broker industry, the MFAA found women were less optimistic about forging a successful career than men. We know this is not an issue confined to broking, but it’s nonetheless something we should be conscious of.